A CheckBox control derives from ContentControl, which means that it can contain a single piece of content. 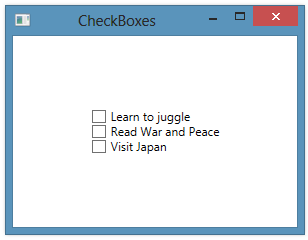 In the case of a CheckBox, this content is rendered next to the actual check box that a user can check on or off. You typically set the content of a CheckBox to a string, which gets rendered next to the check box. 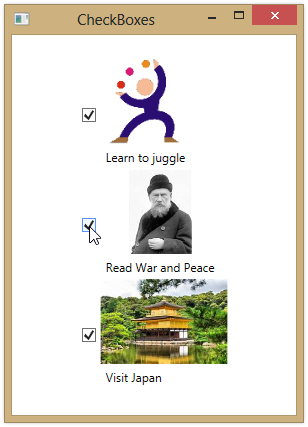 You can, however, set the Content property to anything that you like, including a panel that contains other controls.